Fact: Queen Elizabeth is a walking, talking rainbow. Lime green? Electric pink? Turquoise? Queen E’s worn them all—she’s clearly not afraid to express her deep and irrepressible love of all things colorful and bright. Every once in awhile, a fellow royal will mimic her peacocking ways, but newbie royal Markle is the glaring exception. In fact, delving further into the Duchess of Sussex’s royal fashion choices thus far, we’ve noticed some odd patterns. The most surprising? She has exclusively worn either soft blush pink or white since marrying Prince Harry. No exceptions. 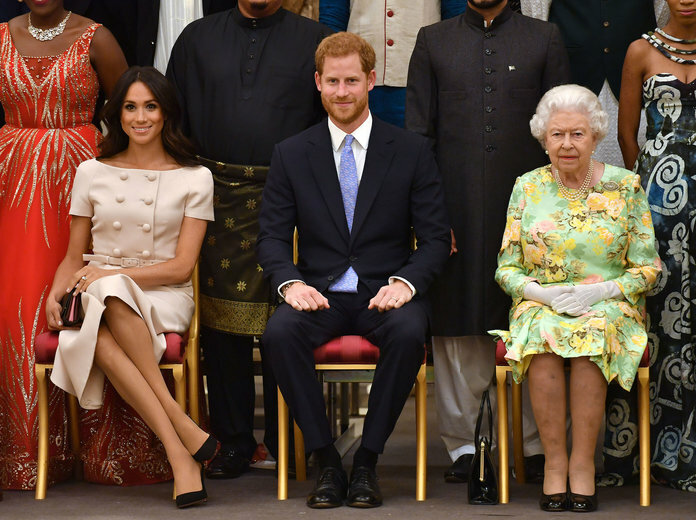 Markle kicked off royal life in a pink Goat dress at Prince Charles’s 70th birthday bash, and the choice was innocuous enough. But when she followed the frock with a look by Carolina Herrera at the Trooping of the Colour ceremony, she raised eyebrows because it was so, well, the same. By the time she hit the Queen’s Young Leaders Awards on Tuesday in, you guessed it, blush pink, we could officially declare the color a pattern, with three of her six post-wedding looks (the other three primarily being the color’s close cousin, white) fitting the mold to a tee. 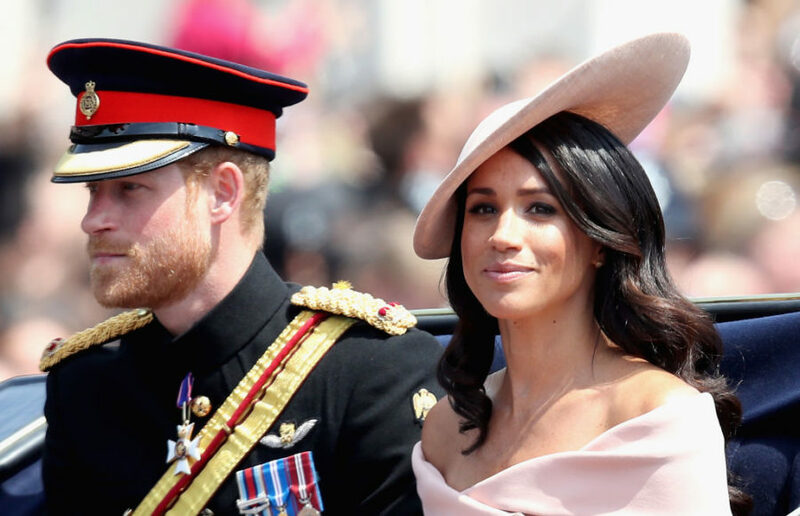 It’s a surprising move, considering this pink wasn’t ever a color she favored while engaged to Prince Harry—or before her engagement, for that matter. In fact, Markle seemed to favor deeper hues on the whole, like the sheer black Ralph & Russo gown for her engagement photos. Well, it’s a little hard to say definitively, but there are solid theories. Theory 1: She just likes the color, okay? Theory 2: Blush is totally her color. Says Nicholl, “She knows [blush] complements her skin tone and that it’s a youthful color for her.” We’d have to agree. Theory 3: As long as she’s in a neutral tone, she won’t have to worry about clashing with Queen Rainbow Brite—er, Elizabeth. Fashion commentator Lucas Armitage chalked the use of this specific pink up to respect. 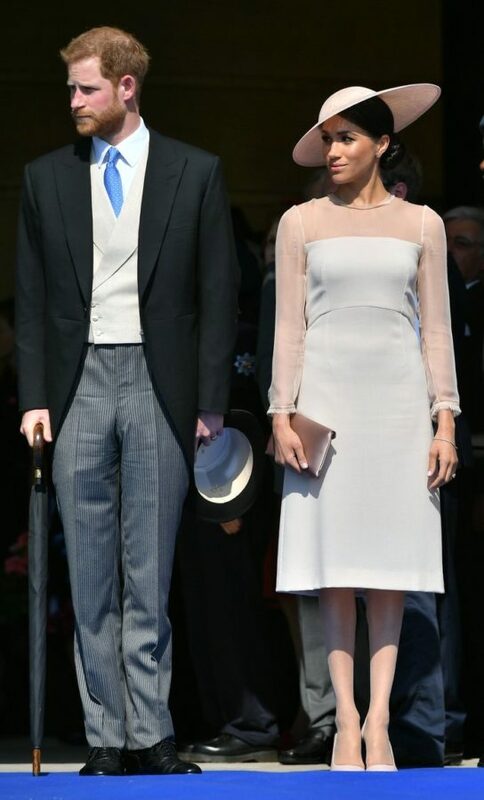 “Meghan has opted for a neutral color once again. I feel this is a clever styling tactic as it will always work with the queen’s look,” Armitage told Daily Mail days before Markle stepped out Tuesday. Theory 4: She’s not trying to draw more attention than necessary while she’s still getting the hang of this whole royal thing. Markle is new to this whole “royals” thing, coming into the family not only as a non-royal, but as a non-British and already public figure. For these reasons, her every move is constantly picked apart, and it’s undoubtedly something she’s aware of. Perhaps Markle is doing her best to demonstrate, through her fashion, that she can hold her own and blend into this role she’s been given just fine. She’s not breaking royal rules. She’s not there to cause scandal. She’s not pushing the fashion envelope, and by opting out of the Queen Elizabethian rainbow palette, she’s relegating herself to a cool, calm, collected background figure who’s keen on learning the ropes, not shaking the tree. The pink she’s chosen to wear and re-wear is, in a way, reflective of this. 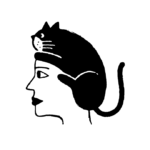 It doesn’t command much attention, allowing those around her (i.e. other, often more senior royals) to stand out a little more than if Markle were, say, wearing the über regal Pantone Color of the Year. Color, we should note, isn’t the only commonality of the clothes in Markle’s royal closet. Every one of her post-wedding outfits have not gone above the knee, and only one has featured a pattern. They have all been conservative and straightforward, the most fanciful details being a clean belt or large, round buttons. And they all fit the narrative of the newly minted royal who is working to fit in and be one of the gang. Of course, this is merely speculative analysis, but it’s worth looking at the optics of royal dress under the microscope because fashion does tell us about the wearer, whether we know it or not. 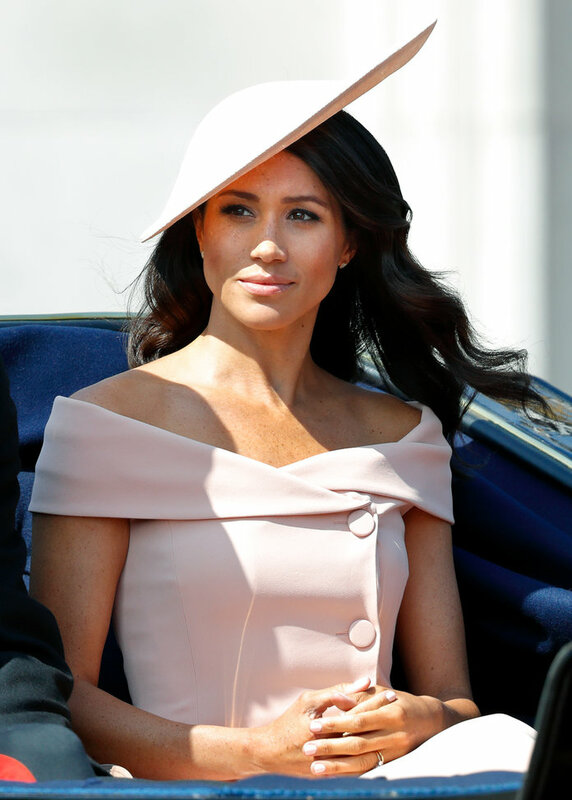 As Markle gets her royal sea legs, we wouldn’t be surprised if we keep seeing more of this pink from her in the future.